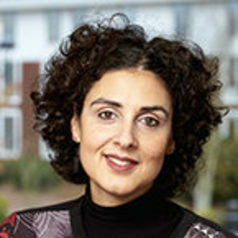 Jo Angouri is Professor and Director of Undergraduate Studies in Applied Linguistics at the University of Warwick, UK and a Visiting Distinguished Professor at Aalto University, School of Business, Finland. Her research expertise is in sociolinguistics, pragmatics and discourse analysis. She has carried out research in a range of corporate and institutional contexts and has published extensively on language and identity, teamwork and leadership. Her current work includes a multidisciplinary project on migration and access to the labour market.